Welcome to the P&S Healthcare Upsey Daisy Range. We are family run British Manufacturing Company who have been manufacturing quality Childrens Incontinence Underwear for over 25yrs. All of our childrens incontinence products are designed and manufactured in our British manufacturing plant to give the highest quality and standards that you and the environment deserve. We also offer a special requirement service for all our products, any size or request can mostly be catered for so just contact us. Our childrens incontinence products contain a waterproof and breathable fabric, which has a high moisture vapour transmission rate, thus giving the user the reassurance of them being waterproof but the comfort of the breathability. Which keeps you feeling cool and comfortable all day long. Upsey Daisy is our children's range for incontinence products for those little accidents using the finest and softest materials in the market place allowing our children to feel confident and comfortable. With the introduction or our new toddler training range from training pants to discreet padded pants Upsey Daisy will make lifes little accidents a breeze for parents. 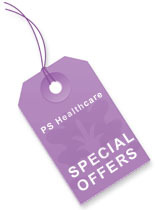 PS Healthcare supply an array of boys incontinence products including boys briefs, boxer shorts, padded briefs and protective pants. All of our boys incontinence products are waterproof and machine washable. 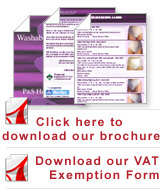 If you have any questions regarding our boys incontinence products then please do not hesitate to contact us and we will do all that we can to help.